Where am I from? I’m originally from Kapa’a, Hawaii, though I’m a military brat who’s been everywhere, so I don’t really consider myself to have a hometown. Ethnicity: I’m of Hawaiian and Japanese descent. Hogwarts house: Either Ravenclaw or Hufflepuff. Or both, because blended houses can be A Thing. Ravenpuff is awesome. 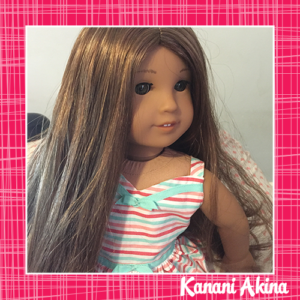 Hi, I’m Kanani! I joined the Crew in October 2015. I’m in eighth grade. (Yeah, I’m 12 and in eighth grade; that’s because I skipped kindergarten and went straight into first grade.) I want to study English, Philosophy, or Women’s and Gender Studies when I go to college. (Or maybe I can do them all! Double majors and minors are a thing.) I’ve been to about four or five schools so far because my dad’s in the military. We move around every few years and it can be really hard on everyone because you keep being uprooted from places you’re starting to call home, and it’s more difficult to make and keep friends (not that I was all that popular in the first place, but still!). It’s not all bad, though; I’ve gotten to live in Germany and Japan! I’m pretty opinionated, though I try not to be mean about it. I consider myself a fairly political person, more so than a lot of other people my age. I loathe racism in all forms, but the kind that really irritates me is when people talk about “model minorities.” The only reason why they say that is that they want to imply that people who aren’t “models” are failures, but they’re ignoring all the reasons why things can be harder for some people than they are for others. I’m a feminist–really, what feminism is about is making sure that women are treated equally. I don’t see why that has to be controversial. Despite my tendency to go into long political rants sometimes, I consider myself pretty friendly, though people who don’t know me well think I tend toward the formal. I’m glad to be in the Crew because I feel less isolated than I used to be before. I don’t feel as though I’m talking over everyone’s head (not that I mean to, but it happens), or as though I’m going to have my world turned upside down nearly as much.